Dielectric absorption occurs when a capacitor that has been charged for a long time briefly retains a small amount of voltage after a discharge. While it’s certainly best for capacitors to have zero voltage after discharge, they often retain a small amount through dielectric absorption—a phenomenon caused by polarization of the capacitor’s insulating material, according to the website. This voltage (also called soakage) is totally independent of capacity. At the very least, soakage can impair the function of a circuit. In large capacitor systems, it can be a serious safety hazard. But soakage has been around a long time, at least since the invention of the first simple capacitor, the Leyden jar, in 1775. So columnist Robert Lacoste decided to have some “fun” with it in Circuit Cellar’s February issue, where he writes about several of his experiments in detecting and measuring dielectric absorption. Go down to your cellar, or your electronic playing area, and find the following: one large electrolytic capacitor (e.g., 2,200 µF or anything close, the less expensive the better), one low-value discharge resistor (100 Ω or so), one DC power supply (around 10 V, but this is not critical), one basic oscilloscope, two switches, and a couple of wires. If you don’t have an oscilloscope on hand, don’t panic, you could also use a hand-held digital multimeter with a pencil and paper, since the phenomenon I am showing is quite slow. The only requirement is that your multimeter must have a high-input impedance (1 MΩ would be minimum, 10 MΩ is better). 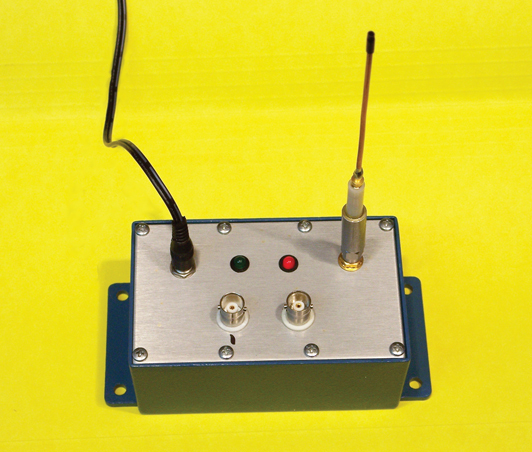 Figure 1: The setup for experimenting with dielectric absorption doesn’t require more than a capacitor, a resistor, some wires and switches, and a voltage measuring instrument. Figure 1 shows the setup. Connect the oscilloscope (or multimeter) to the capacitor. Connect the power supply to the capacitor through the first switch (S1) and then connect the discharge resistor to the capacitor through the second switch (S2). 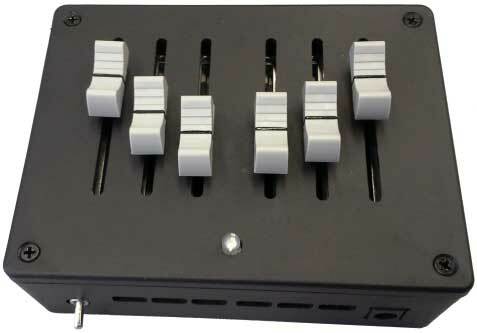 Both switches should be initially open. Photo 1 shows you my simple test configuration. Now turn on S1. The voltage across the capacitor quickly reaches the power supply voltage. There is nothing fancy here. Start the oscilloscope’s voltage recording using a slow time base of 10 s or so. If you are using a multimeter, use a pen and paper to note the measured voltage. Then, after 10 s, disconnect the power supply by opening S1. The voltage across the capacitor should stay roughly constant as the capacitor is loaded and the losses are reasonably low. Photo 1: My test bench includes an Agilent Technologies DSO-X-3024A oscilloscope, which is oversized for such an experiment. Now switch on S2 long enough to fully discharge the capacitor through the 100-Ω resistor. As a result of the discharge, the voltage across the capacitor’s terminals will quickly become very low. 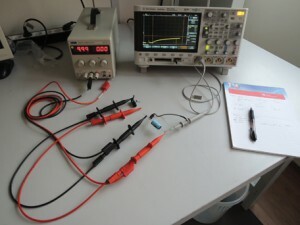 The required duration for a full discharge is a function of the capacitor and resistor values, but with the proposed values of 2,200 µF and 100 Ω, the calculation shows that it will be lower than 1 mV after 2 s. If you leave S2 closed for 10 s, you will ensure the capacitor is fully discharged, right? Now the fun part. After those 10 s, switch off S2, open your eyes, and wait. The capacitor is now open circuited, at least if the voltmeter or oscilloscope input current can be neglected, so the capacitor voltage should stay close to zero. 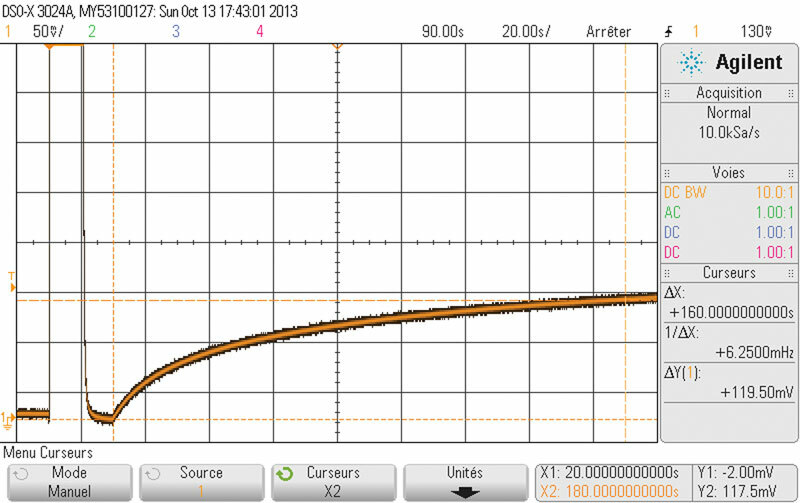 But you will soon discover that this voltage slowly increases over time with an exponential shape. 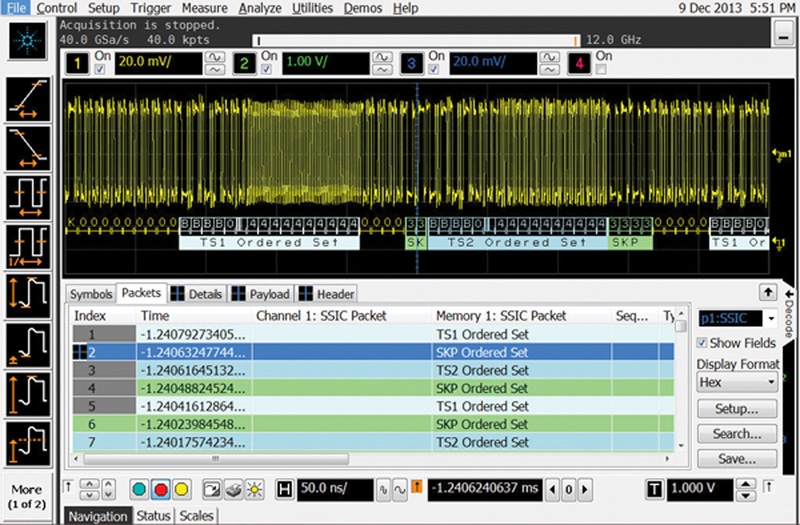 Photo 2 shows the plot I got using my Agilent Technologies DSO-X 3024A digital oscilloscope. With the capacitor I used, the voltage went up to about 120 mV in 2 min, as if the capacitor was reloaded through another voltage source. What is going on here? There aren’t any aliens involved. You have just discovered a phenomenon called dielectric absorption! Photo 2: I used a 2,200-µF capacitor, a 100-Ω discharge resistor, and a 10-s discharge duration to obtain this oscilloscope plot. After 2 min the voltage reached 119 mV due to the dielectric absorption effect. Nothing in Lacoste’s column about experimenting with dielectric absorption is shocking (and that’s a good thing when you’re dealing with “hidden” voltage). But the column is certainly informative. To learn more about dielectric absorption, what causes it, how to detect it, and its potential effects on electrical systems, check out Lacoste’s column in the February issue. The issue is now available for download by members or single-issue purchase. Lacoste highly recommends another resource for readers interested in the topic. 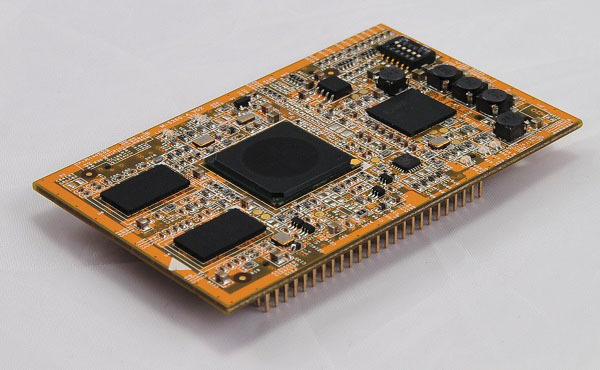 Every engineer and technician sooner or later faces the challenge of having to desolder a component. 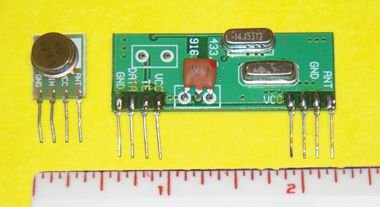 Sometimes the component can be a large transformer with 10 pins or a power chip with many connections, and desoldering tools are typically around the $1,000 mark and above. Chip Quik is a solder-based alloy that stays molten for up to 30 seconds and makes desoldering any component very easy. The only drawback is that the cost of a 2´ length of Chip Quik is around $20. But a little experience can make this go a long way. Having some Chip Quik lying around in the workshop is reassuring for when that urgent job comes in. Agilent Technologies has introduced the N8819A USB 3.0 SSIC and N8820A MIPI CSI-3 protocol decoders. 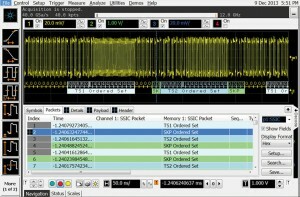 The software decodes USB 3.0 SuperSpeed Inter-Chip (SSIC) and MIPI Camera Serial Interface 3 (CSI-3) protocols on oscilloscopes. The protocol decoders provide engineers with a fast, easy way to validate and debug SSIC and CSI-3 interfaces. 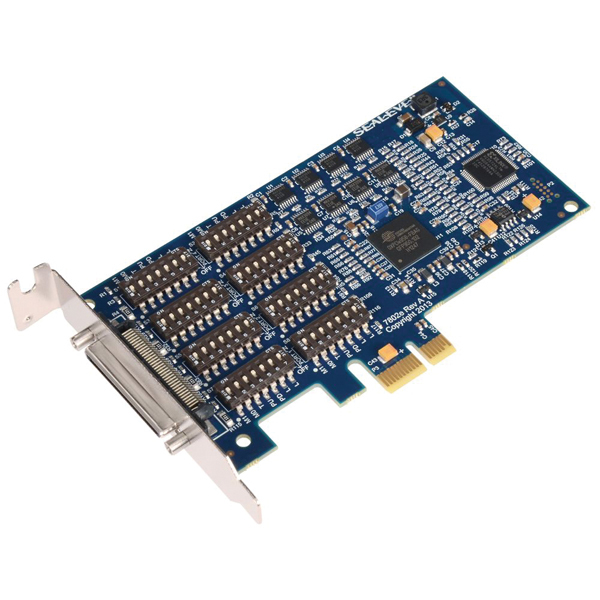 The N8819A USB 3.0 SSIC and N8820A MIPI CSI-3 protocol decoders are designed to run on 90000 A-, 90000 X-, and 90000 Q-Series oscilloscopes. They decode protocol packets for the SSIC V1.0 and MIPI CSI-3 V1.0 specifications, respectively. 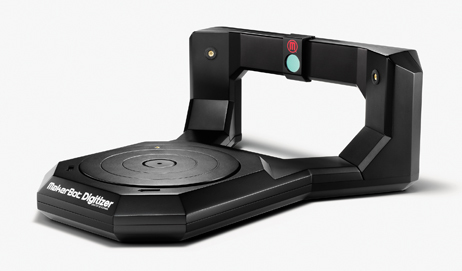 The decoders provide accurate timing measurements associated with the protocols. The software supports correlated protocol decode information with the analog waveforms; symbol, packet, frame, and payload detail of the protocols; high-speed (HS-BURST) and low-speed PWM (PWM-BURST) transmission modes; cyclical redundancy check (CRC) on the packets; and search capability for various frames, sequences, and errors. Both protocol decoders can be used on Infiniium 90000 Q-Series oscilloscopes, which deliver real-time bandwidth of up to 33 GHz on four channels. The oscilloscopes feature bandwidth upgradability to 63 GHz and low noise and jitter measurement floor performance. The Agilent N8819A USB 3.0 SSIC and N8820A MIPI CSI-3 protocol decoders cost $3,500 and $3,000, respectively. If you missed the World Maker Faire in New York City, you can pick up Circuit Cellar’s February issue for highlights of the innovative projects and hackers represented there.Veteran electronics DIYer and magazine columnist Jeff Bachiochi is the perfect guide. “The World Maker Faire is part science fair and part country fair,” Bachiochi says. 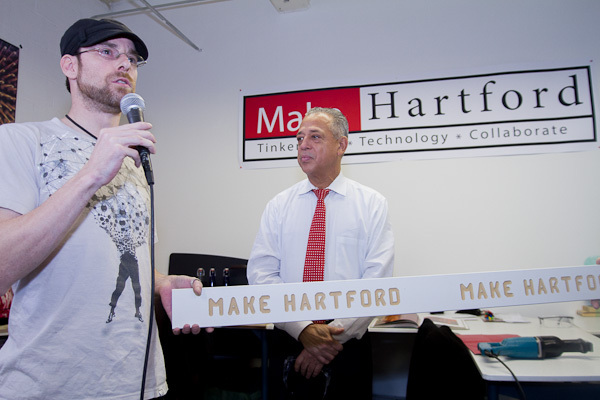 “Makers are DIYers. 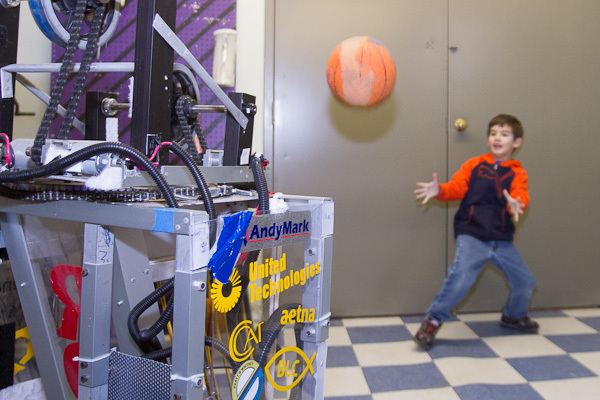 The maker movement empowers everyone to build, repair, remake, hack, and adapt all things. The Maker Faire shares the experiences of makers who have been involved in this important process… Social media keeps us in constant contact and can educate, but it can’t replace the feeling you can get from hands-on live interaction with people and the things they have created. Photo 1: This pole-climbing robot is easy to deploy at a moment’s notice. There is no need for a ladder to get emergency communication antennas up high where they can be most effective. 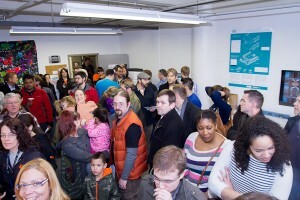 Bachiochi’s article introduces you to a wide variety of innovators, hackers, and hackerspaces. 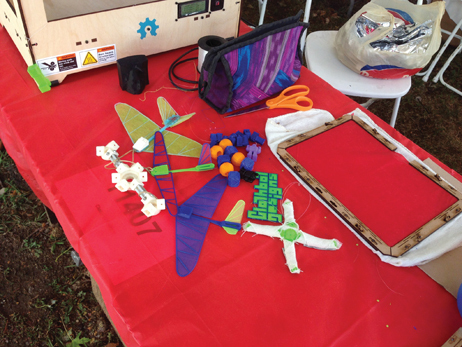 The keen and growing interest in 3-D printing as a design tool was evident at the Maker Faire. 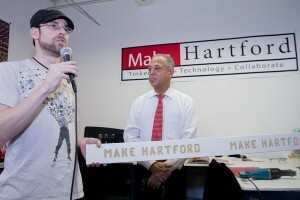 Photo 2: Andrew Plumb showed me some unique ideas he was experimenting with using one of his 3-D printers. By printing the structural frame directly on tissue paper, ultra-light parts are practically ready to fly. Also in the 3-D arena, Bachiochi encountered some innovative new products. Bachiochi’s article includes a lengthy section about “other interesting stuff” and people at the Maker Faire, including the Public Laboratory for Open Technology and Science (Public Lab), a community that uses inexpensive DIY techniques to investigate environmental concerns. 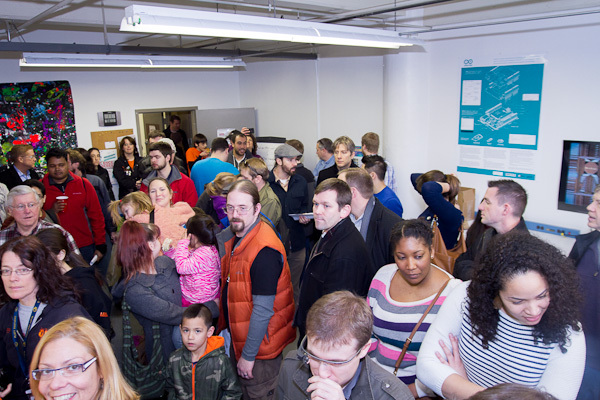 At this family-friendly event, Bachiochi met a family that “creates” together. There is much more in Bachiochi’s five-page look at the Maker Faire, including resources for finding and participating in a hackerspace community. The February issue including Bachiochi’s articles is available for membership download or single-issue purchase. 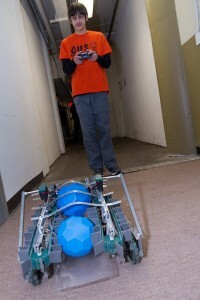 Photo 4: Beatty Robotics is a family of makers that produces some incredible models. Young Camille Beatty handles the soldering, but is also well-versed in machining and other areas of expertise. 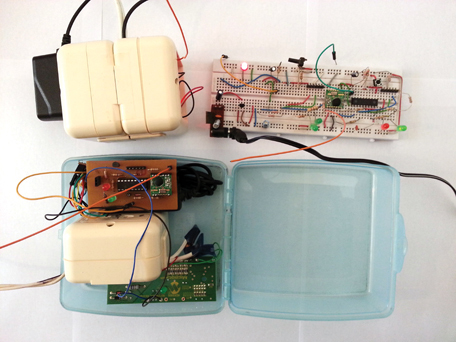 The best DIY electrical engineering projects are effective, simple, and inexpensive. 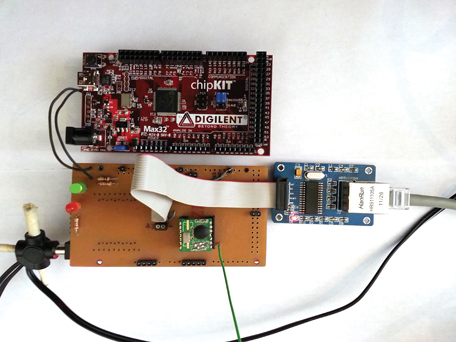 Devlin Gualtieri’s design of a wireless water alarm, which he describes in Circuit Cellar’s February issue, meets all those requirements. Like most homeowners, Gualtieri has discovered water leaks in his northern New Jersey home after the damage has already started. “In all cases, an early warning about water on the floor would have prevented a lot of the resulting damage,” he says. You can certainly buy water alarm systems that will alert you to everything from a leak in a well-water storage tank to moisture from a cracked boiler. But they typically work with proprietary and expensive home-alarm systems that also charge a monthly “monitoring” fee. 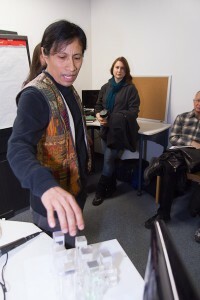 “As an advocate of free and open-source software, it’s not surprising that I object to such schemes,” Gualtieri says. In February’s Circuit Cellar magazine, now available for membership download or single-issue purchase, Gualtieri describes his battery-operated water alarm. 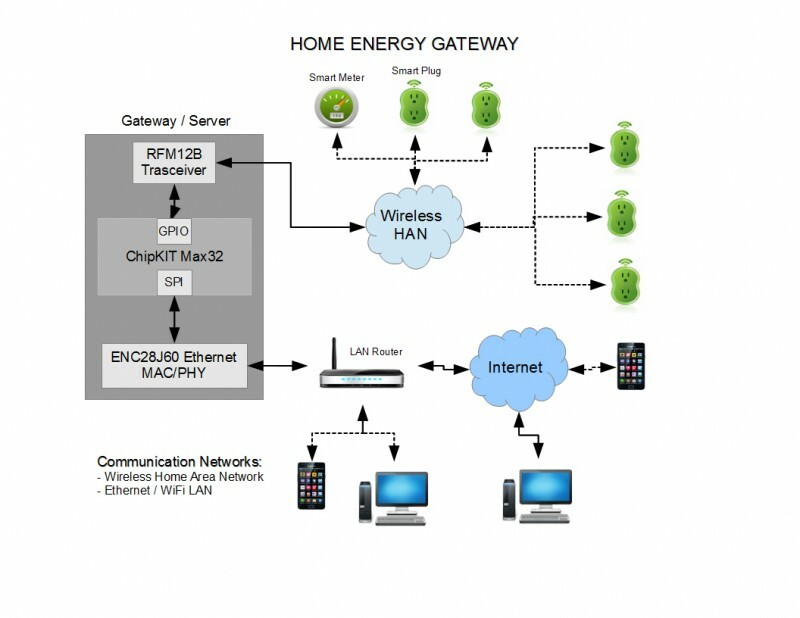 The system, which includes a number of wireless units that signal a single receiver, includes a wireless receiver, audible alarm, and battery monitor to indicate low power. Photo 1: An interdigital water detection sensor is shown. Alternate rows are lengths of AWG 22 copper wire, which is either bare or has its insulation removed. 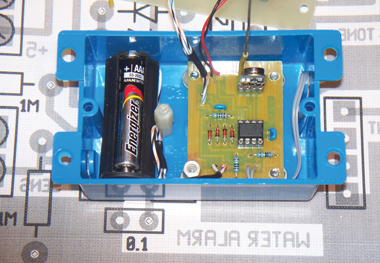 The sensor is shown mounted to the bottom of the box containing the water alarm circuitry. I attached it with double-stick foam tape, but silicone adhesive should also work. Because water conducts electricity, Gualtieri sensors are DIY interdigital electrodes that can lie flat on a surface to detect the first presence of water. And their design couldn’t be easier. “A battery monitor is an important feature of any battery-powered alarm circuit. The Microchip Technology PIC12F675 microcontroller I used in my alarm circuit has 10-bit ADCs that can be optionally assigned to the I/O pins. However, the problem is that the reference voltage for this conversion comes from the battery itself. As the battery drains from 100% downward, so does the voltage reference, so no voltage change would be registered. Figure 1: This is the portion of the water alarm circuit used for the battery monitor. The series diodes offer a 1.33-V total drop, which offers a reference voltage so the ADC can see changes in the battery voltage. “I used a simple mathematical trick to enable battery monitoring. Figure 1 shows a portion of the schematic diagram. 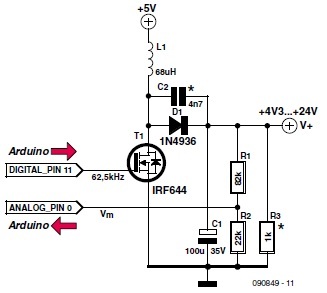 As you can see, the analog input pin connects to an output pin, which is at the battery voltage when it’s high through a series connection of four small signal diodes (1N4148). The 1-MΩ resistor in series with the diodes limits their current to a few microamps when the output pin is energized. At such low current, the voltage drop across each diode is about 0.35 V. An actual measurement showed the total voltage drop across the four diodes to be 1.33 V.
Gaultieri’s wireless transmitter, utilizing lower-frequency bands, is also straightforward. Photo 2: These transmitter and receiver modules are used in the water alarm. The modules operate at 916.5 MHz, but 433 MHz is a more common alarm frequency with similar modules. The scale is inches. For more details on this easy and affordable early-warning water alarm, check out the February issue. Photo 3: This is the water alarm’s interior. 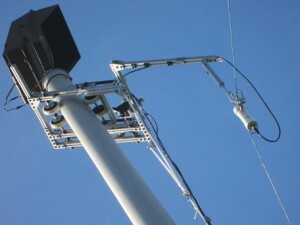 The transmitter module with its antenna can be seen in the upper right. The battery holder was harvested from a $1 LED flashlight. The box is 2.25“ × 3.5“, excluding the tabs. Photo 4: Here is my receiver circuit. 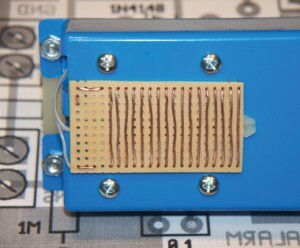 One connector was used to monitor the signal strength voltage during development. The other connector feeds an input on a home alarm system. The short antenna reveals its 916.5-MHz operating frequency. 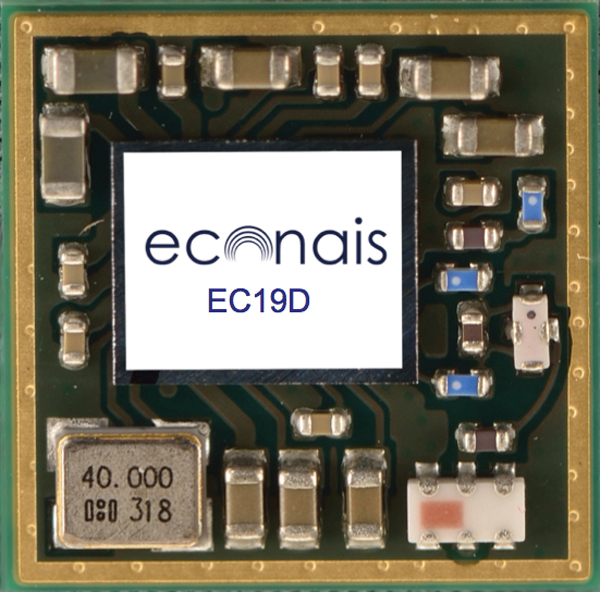 Modules with a 433-MHz frequency will have a longer antenna. If your project needs a higher voltage rail than is already available in the circuit, you can use an off-the-shelf step-up device. But when you want a variable output voltage, it’s less easy to find a ready-made IC. However, it’s not complicated to build such a circuit yourself, especially if you have a microcontroller board that’s as easy to program as an Arduino. And this also lets you experiment with the circuit so you can get a better understanding of how it works. 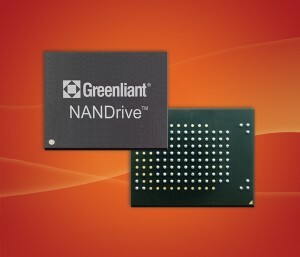 No surprises in the circuit—a largely conventional boost converter. The MOSFET is driven by a pulse width modulated (PWM) signal from the microcontroller, and the output voltage is measured by one of the microcontroller’s analog inputs. 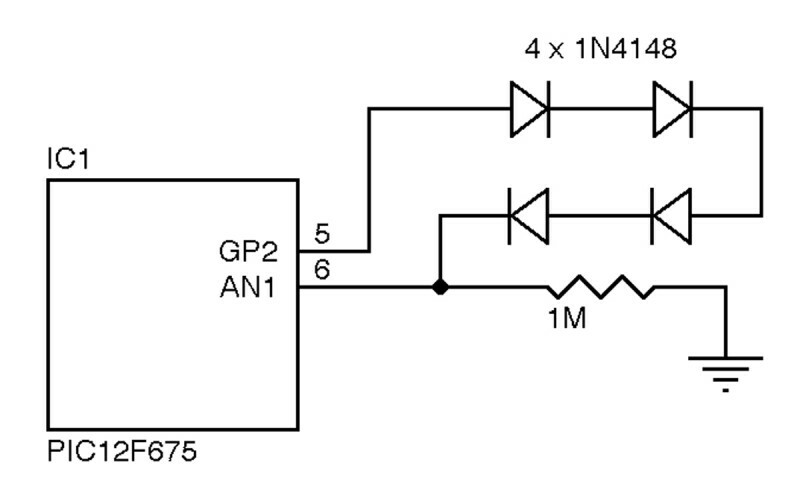 The driver adjusts the PWM signal according to the difference between the output voltage measured and the voltage wanted. We don’t have enough space here to go into details about how this circuit works, but it’s worth mentioning a few points of special interest. The small capacitor across the diode improves the efficiency of the circuit. The load is represented by R3. The components used make it possible to supply over 1 A (current limited by the MSS1260T 683MLB inductor from Coilcraft), but maximum efficiency (89%) is at around 95 mA (at an output voltage of 10 V). 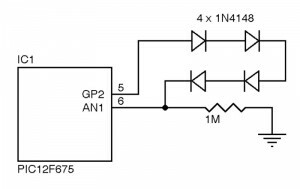 To avoid damaging the controller’s analog input (≤5 V), the output voltage may not exceed 24 V. For higher voltages, the values of resistors R1 and R2 would need to be changed.